When it comes to golf balls, men and women aren't always equal. On average, a woman golfer's swing is about one-third slower than the average male golfer. 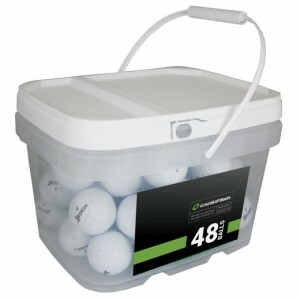 Women's golf balls are designed specifically for these lower speeds, typically offering a softer core and special dimple patterns. When these features are combined, the best golf balls for women offer increased speed and lift for anyone with a slow to moderate swing speed. 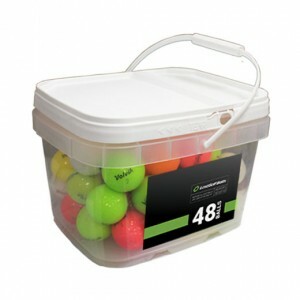 At LostGolfBalls.com, we carry a great selection of ladies' golf balls from a number of different manufacturers. The Srixon Soft Feel Lady is a very popular choice, offering enhanced distance and excellent playability. The Callaway Solaire ladies' golf balls feature a soft cover for better feel around the greens. We also carry high quality mixes of Pinnacle Crystal golf balls, with a premium three-piece design made for medium to slow swing speeds. Looking for more color in your game? 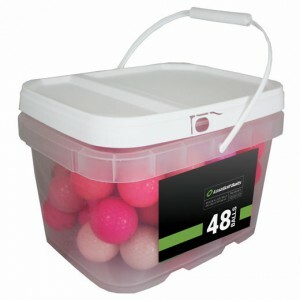 Pinnacle Crystal mixes come in white, pink, and lavender. Check out our other colorful crystal mixes in yellow, purple, orange, or blue. 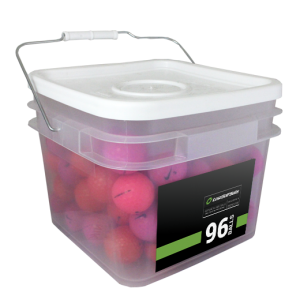 We also carry pink women's golf balls from several brands, including Pro V1, Bridgestone, and Callaway. All of these women's balls are easy to spot on the fairway and add a little more fun to your game.